Not everyone is a racer nor should every ride be a race. Cross bikes are the embodiment of cycling soul – able to venture over nearly all types of terrain swiftly and smoothly. The CX9s linear pull design is compatible with most lever types and provides huge amounts of stopping power when the grades get steep or when your bike is loaded with enough gear to get you to the next continent. The super-low profile design also means panniers and racks do not interfere. Rely on CX9s to stop you when you get there. 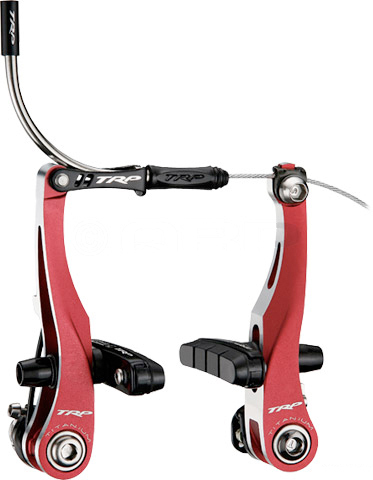 Sold as complete bike set including all mounting hardware. 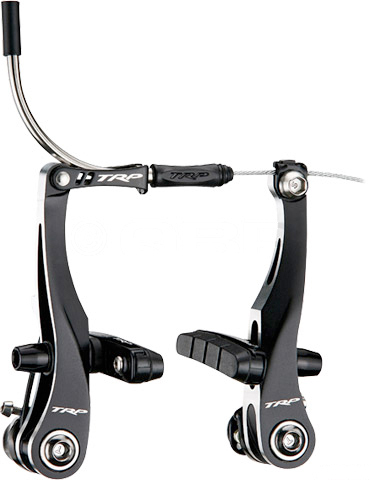 The arms are made out of TT6 forged CNC aluminum while the hardware is made out of superlight and super strong titanium. Arm length is 90 mm. Compatible with road-style cartridge brake pads.